She spoke out in a new report on 20 years of devolution, produced by the Institute for Government think tank. Researchers interviewed 13 former Cabinet minsters from both Scotland and Wales to mark the 20th anniversary of devolved administrations being set up in Edinburgh and Cardiff. In the same report, former Scottish deputy first minister Lord Wallace – who also served as Advocate General for Scotland in the UK Government – said he did not believe Theresa May’s government had kept its commitment that Scottish and Welsh politicians would be “fully engaged” in the preparations for Britain’s exit from the European Union. The think tank said they had to “negotiate and cooperate with UK counterparts to achieve their objectives and to influence decisions taken at Westminster (and in Brussels) that affect devolved matters”. Former Scottish first minister Lord McConnell found the “occasionally dysfunctional relationship” between then-Labour PM Tony Blair and his Chancellor Gordon Brown “hard to work with, because things would be agreed with one and then took ages to be implemented by the other”. In addition, former ministers found the Joint Ministerial Committee (JMC) – set up to bring together UK ministers with representatives from the devolved governments – “not particularly helpful”, according to the report. 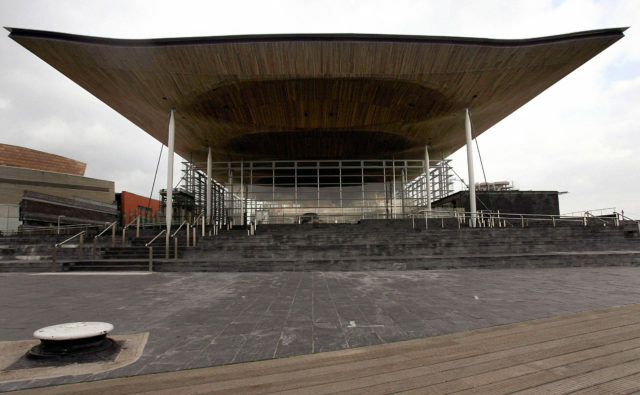 Former Welsh education minister Leighton Andrews told researchers: “The Joint Ministerial Committee is, you know, it’s there, it’s important to have it, if you’re going to air genuine issues I think that it’s valuable. Meanwhile, Ieuan Wyn Jones, who served as Welsh deputy first minister, complained the JMC’s procedure for resolving disputes between the administrations “wasn’t worth the paper it was written on”. The Scottish, Welsh and Northern Irish governments formally raised a dispute over funding linked to the 2012 London Olympics, arguing for addition resources to come to the devolved administrations. The report noted the dispute resolution process is chaired by a UK minister, with Mr Wyn Jones saying when devolved ministers pressed for a “more independent procedure” the UK Treasury “wouldn’t have any of that”.